Pentair Raychem Self-regulating heating cable features continuous core of conductive polymer extruded between two copper bus wires. 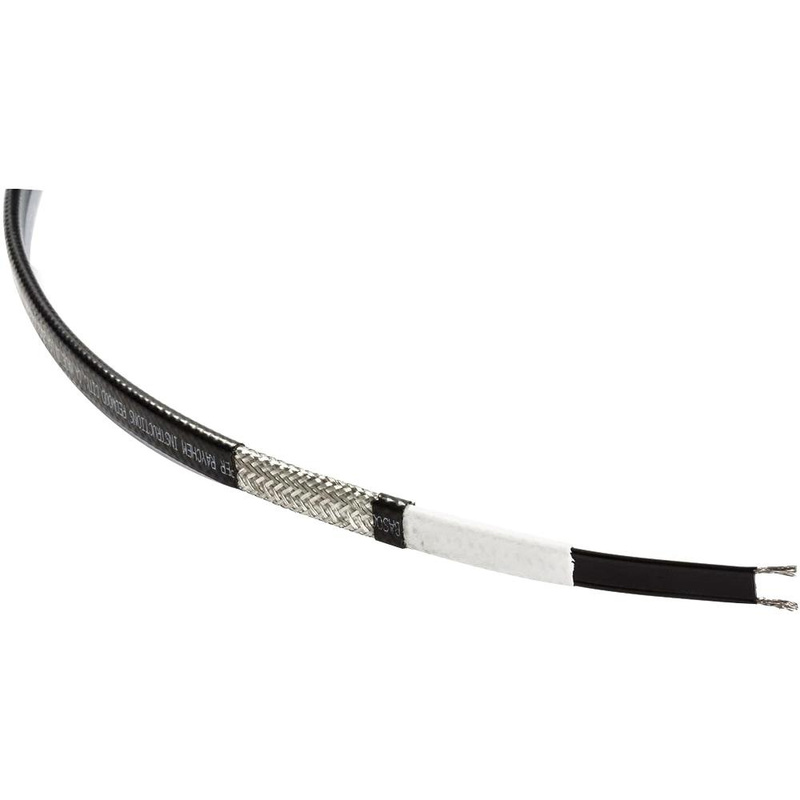 This cable produces heat output of 36-Watt/m at 0 deg C in ice water. It automatically adjusts heating power output in response to ambient conditions. Cable has voltage rating of 230-Volt AC. This cable eliminates hot spots and results in better temperature control to protect roof and gutter materials. It has polyolefin outer jacket that gives mechanical protection. This simple-to-install cable features snow melting system that serves as part of ongoing during building renovation. It measures 13.7 mm x 6.2 mm. This cable supports circuit length of 80 m and has 1.2-Sq-mm nickel-plated copper conductor for better conductivity. Cable withstands minimal installation temperature of -18 deg C and maximum exposure temperature of 65 deg C. It is perfect for roof & gutter snow melting and de-icing. Heating cable meets VDE and SEMKO standards. * Inventory displayed is accurate as of 04/20/2019 11:40 EDT.